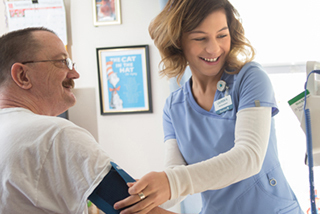 Certified Occupational Therapy Assistant / COTA - Part Time at HCR ManorCare Inc.
As an Occupational Therapist, you know that your strength is not just quality of care, but also your quality of caring — and that’s why you belong at HCR ManorCare. Here, your patients will count on you to help them adjust to an injury or illness, improve their ability to perform daily activities and regain skills to live a healthier life. Your personalized and comprehensive treatment plans of exercises, along with your empathy and compassion, will help patients achieve a new measure of independence. 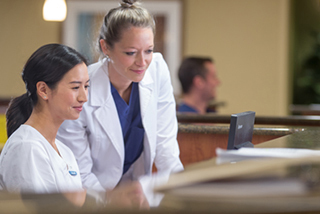 In return for bringing your expertise to HCR ManorCare, you’ll enjoy excellent training, industry-leading benefits, and unlimited opportunities to learn and grow. If you’re ready to have a health care career in which you can build long-lasting relationships and find professional and intellectual fulfillment, then we’re excited to work with you. Who is the ideal HCR ManorCare employee? We're looking for people to join our team who are motivated by making an impact and doing meaningful work. inspire you to do your best. Opportunities to advance your skills and knowledge. Free online CEU Program for full-time/part-time employees. HCR ManorCare the leading provider of short- and long-term medical and rehabilitation care is seeking a passionate and driven Certified Occupational Therapy Assistant - COTA. If you are looking for a challenging and rewarding career assisting our patients in a time of need, then we are looking for YOU! Our Certified Occupational Therapy Assistants - COTA are the cornerstone to HCR ManorCare's dedication to mission. 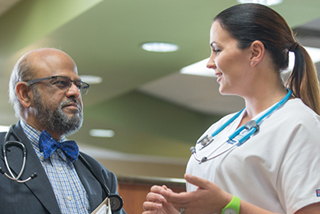 Working in the health care environment can be very demanding, and it is our goal to provide the tools to help you understand and commit to the philosophy that defines our culture. We are interested to employ a COTA who is as passionate as we are about ensuring that our patients and residents receive the support services they need and deserve. Assist the Occupational Therapist in patient development, recovery, and improving skills needed for daily functionalities. Follow treatment plan to guide the patient through proper methods of moving around and stretching. You will monitor each activity to ensure the patient is performing them properly to avoid new/further injuries. Responsible to make sure supplies are readily available and in stock, if not available you are to order new supplies. Required to verify patient information and confirm purpose of treatment. Prior Certified Occupational Therapist Assistant experience preferred, but not necessary. Currently licensed or registered as an occupational therapist assistant by the state in which practicing, unless that state does not license occupational therapists assistants or otherwise regulate the practice of occupational therapy. Is eligible to take or has successfully completed the NBCOT entry-level certification examination for occupational therapy assistants. HCR ManorCare is a leading provider of short-term, post-hospital services. Numerous HCR ManorCare locations offer free CNA classes. HCR ManorCare offers excellent careers for recent college graduates.